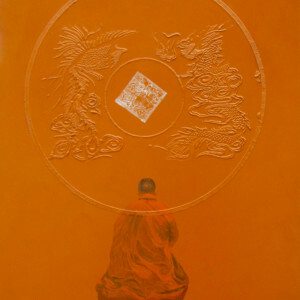 Sometimes even the most ordinary thing can be the source of metaphysical thoughts. 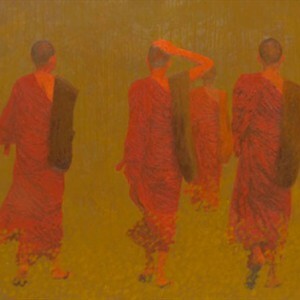 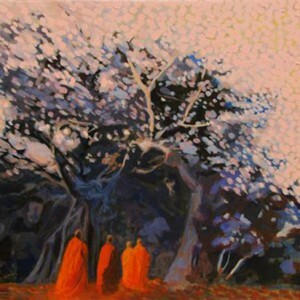 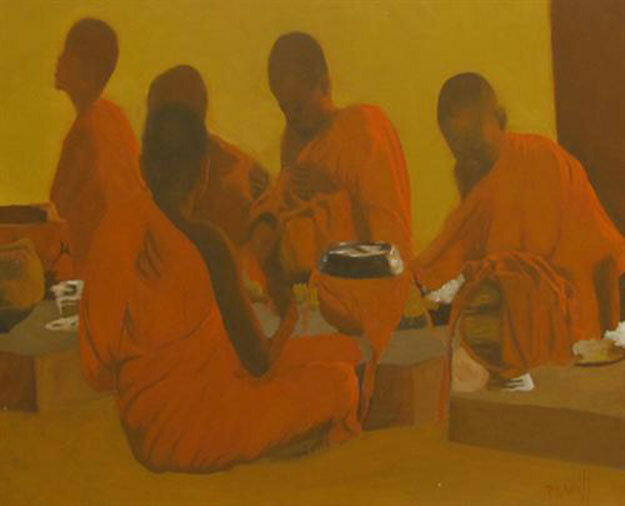 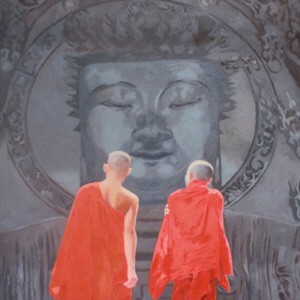 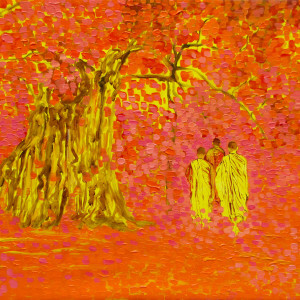 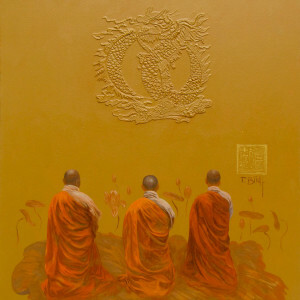 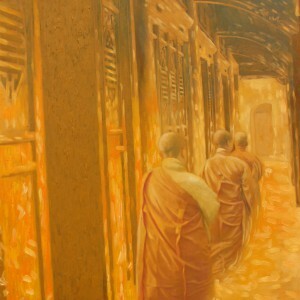 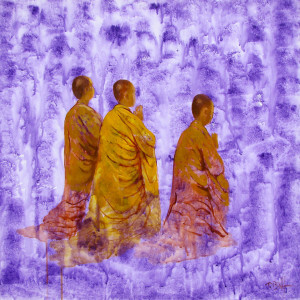 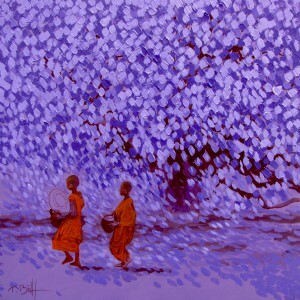 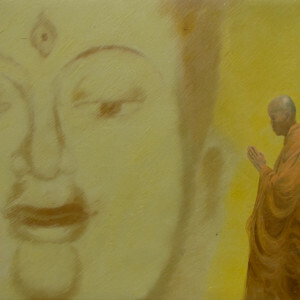 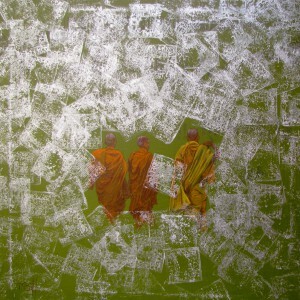 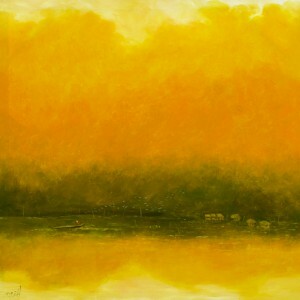 Asian artist Vu Thai Binh observes the everyday life of the Buddhists. 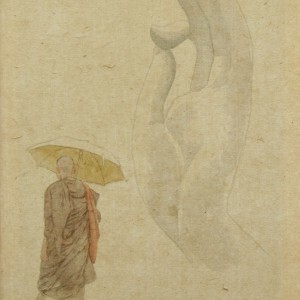 This composition, which is a fine example of contemporary Asian art, he engages the viewers with the combination of the photographic accuracy of drawing with decorative, local coloring.